When getting ready for a wedding or photo shoot in our studio we always suggest planning. In Las Vegas you have many options for hair, makeup, clothing, and locations. 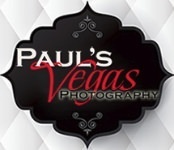 At Paul's Vegas Photography we love to be involved in making it a great and easy experience for you. We have many referrals and can show you many examples of work that they have done from our past clients. You want to know that they can give you the look you are wanting. Clothing for photography is always something you should ask your photographer(s) about. Believe us, when we say, there are some things you want to stay away from. Take a look at some of our pre-wedding photography pictures along with some photos we shot in the studio before we started a photo session. Seeing an actual image will give you an idea how you are going to look.